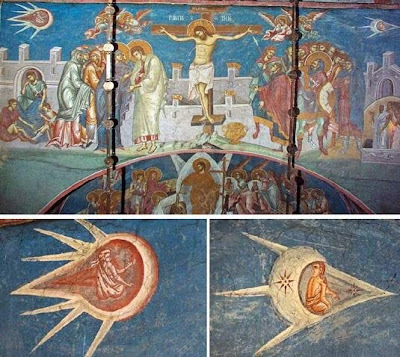 Almost every special on television that speaks about the historical evidence of Unidentified Flying Objects (UFO's) and alien life inevitably cites Orthodox icons as proof that certain Christians of the Byzantine/Roman Empire believed in UFO's or alien spacecraft. 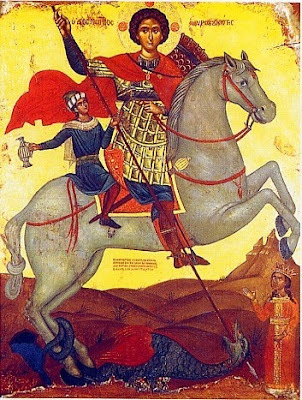 Of course, for everyone that knows the basic method of interpreting Orthodox icons, this is clearly not the case and is a total misrepresentation of the basic interpretation of Byzantine iconography. Many Orthodox Christians insist "Pascha" or any derivitive of the word Passover is the only correct name for the celebration of the Resurrection of Christ, among possibly other liturgical words for the feast, but insist the word "Easter" is innapropriate because it supposedly has pagan origins. 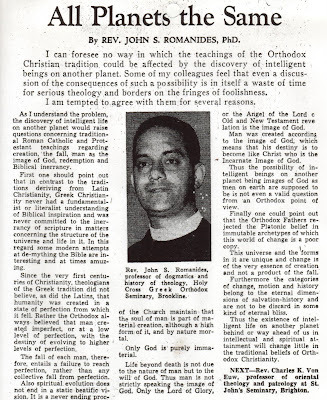 Does it truly have pagan origins that would prohibit its use? 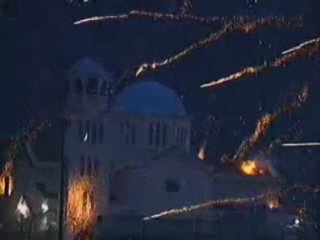 Or are there in fact justifiable reasons to allow for "Pascha" and "Easter" to both be used with a clean conscience. 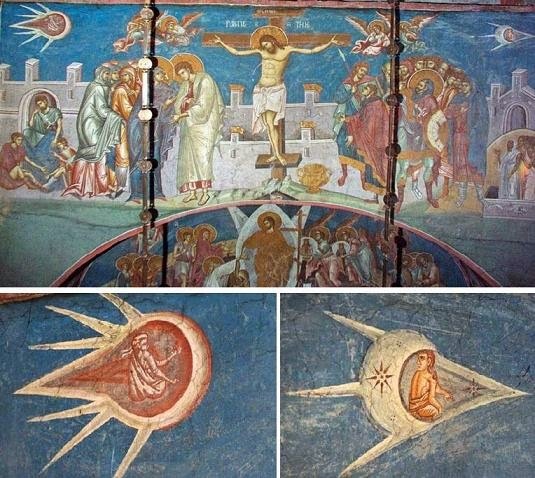 Since "Pascha" is without controversy, we will examine these things for the word "Easter". The word "Easter" has some etymological baggage. Some Christians are wary of using the word because of its supposed pagan origin. The Venerable Bede (672-735) asserted that the word "Easter" derived from "Eostre", the goddess of the Saxons (De Ratione Temporum). In modern times Alexander Hislop connected Easter to the Babylonian goddess Astarte (The Two Babylons, 1858). Apparently, there was indeed a goddess by the name "Eostre" ("Ostara" in German). Hence it seems that "Easter" and "Eostre" are etymologically related. 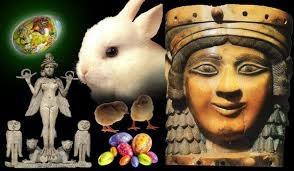 However, it is foolish to take etymological relation as evidence of a "pagan connection" between "Easter" and "Eostre". 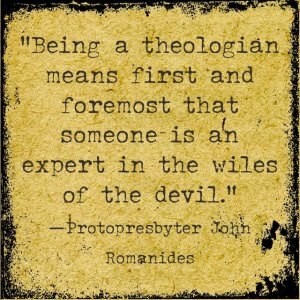 To see the foolishness of this, consider the following example: There was a Christian theologian in the third century by the name of "Lucian" of Antioch. There is also the name "Lucifer" ascribed to Satan (Isaiah 14:12). 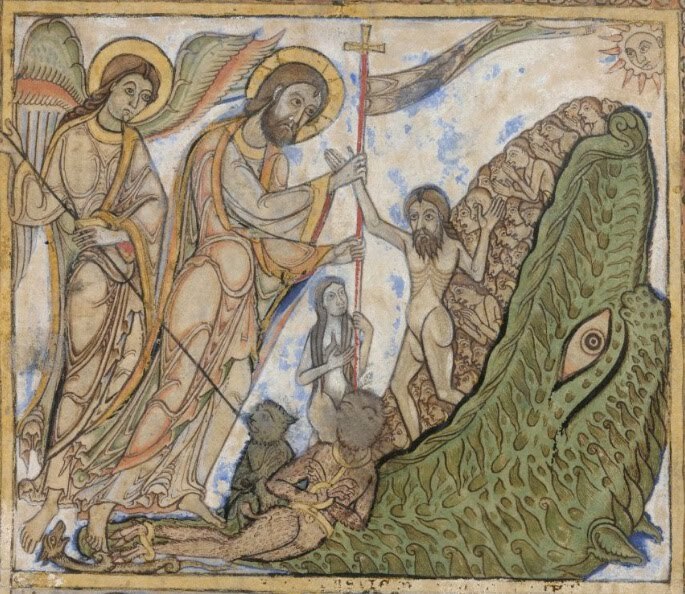 Both "Lucian" and "Lucifer" are derived from the Latin word for "light (lucis)". This means that "Lucian" and "Lucifer" are etymologically related. However, neither is an etymological descendant of the other, which means neither name is derived from the other name. Each name is a separate etymological descendant of the root word for light, "lucis". 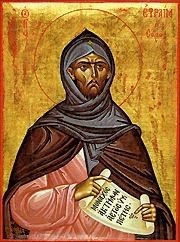 Thus it would be foolish to say, "A Christian should never call himself Lucian because the word is related to Lucifer!" Etymological relation between a negative word (i.e. Lucifer) and the impugned word (i.e. Lucian) does not mean anything. The issue is whether the impugned word is an etymological descendant of the negative word. As for "Lucian", it is not an etymological descendant of "Lucifer". Likewise, Easter is not an etymological descendant of Eostre but rather a separate etymological descendant of a common root word which in itself carries a neutral connotation. let us attend to ourselves, imitating the Fathers. has become for us guide and fellow-worker. and no longer does the evil one have power against us.